Imagine waking up with the most enchanting forest on your doorstep. Well, that is exactly what will happen when you stay at The Distinction Rotorua Hotel. Adjacent to the hotel is the Whakarewarewa Forest which is home some of the most stunning walks you can imagine and some world-class mountain biking trails. If mountain biking in the forest during your stay sounds like something you’d like to do, the hotel offers bike hire, so you can get in a leisurely ride, or pedal the paths for a scenic workout. Or maybe golf is your thing? 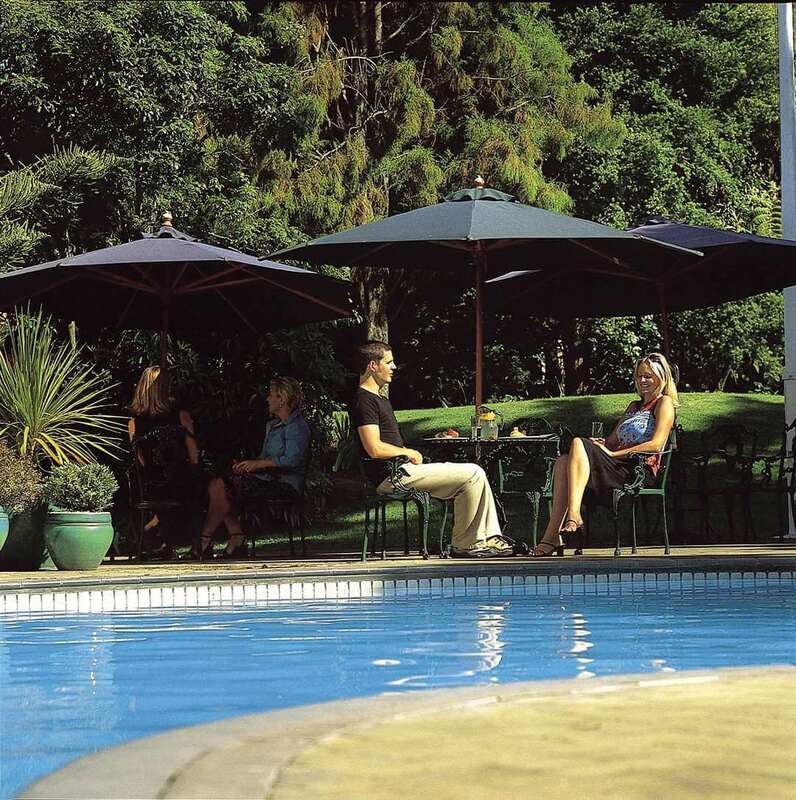 In which case you’ll be pleased to know that Rotorua’s best golf course is also just across the road, along with a heated outdoor swimming pool, perfect for relaxing after a few rounds on the green. Alternatively, if you’d prefer to simply relax at the hotel, its gardens are also just as beautiful as the forest and incredibly peaceful. You really couldn’t ask for better surroundings. 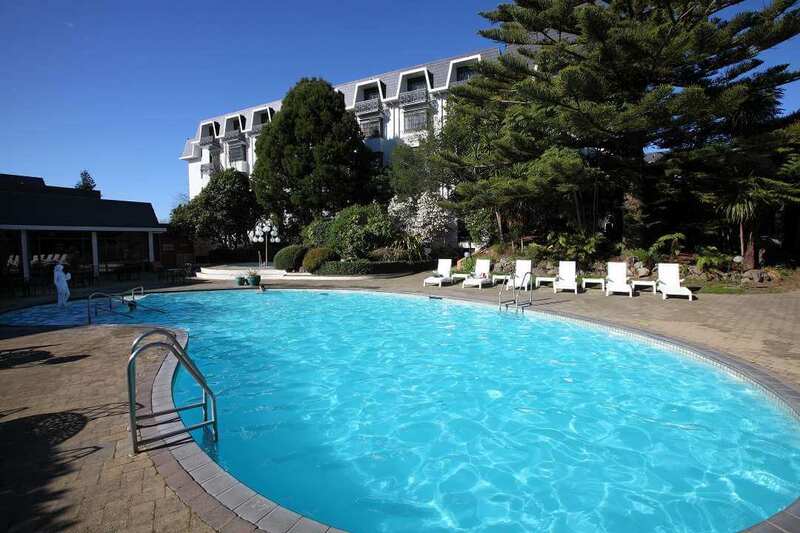 If you’d like to explore the local town during your stay, The Distinction Rotorua Hotel is just a few minutes’ drive from the centre of Rotorua. So as you can see, there’s plenty to do. 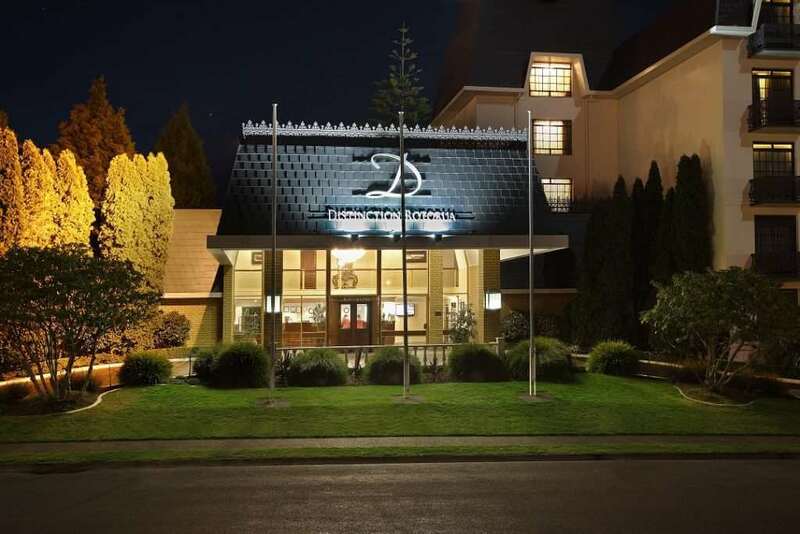 Spacious and comfortable, your accommodation at The Distinction Rotorua Hotel has everything you could need. But with such fantastic surroundings, we can’t imagine you’d want to spend too much time in your room. If you have a sweet tooth, the hotel’s Pavilion Café and Restaurant is known for its sparkling high tea complete with delicious cakes, sandwiches and a glass of bubbly. But of course, the restaurant also offers a great menu for lunch and dinner too, featuring the best of New Zealand cuisines and showcasing some of the country’s finest ingredients. Best of all, you have the choice to dine al fresco in the beautiful garden setting. For more speciality dining there’s Mr Yakitori’s where you can watch the chef flame-grill mouth-watering Yakitori (skewers of meat, seafood and vegetables, basted in a divine sauce) to perfection before your eyes. And of course, there’s the hotel’s D Bar where you can choose from a wide selection of New Zealand wines and beers, enjoy bar snacks or a more casual meal, and even live sports for a little action.